Reef Tiger integrate personality and charm into the creation. 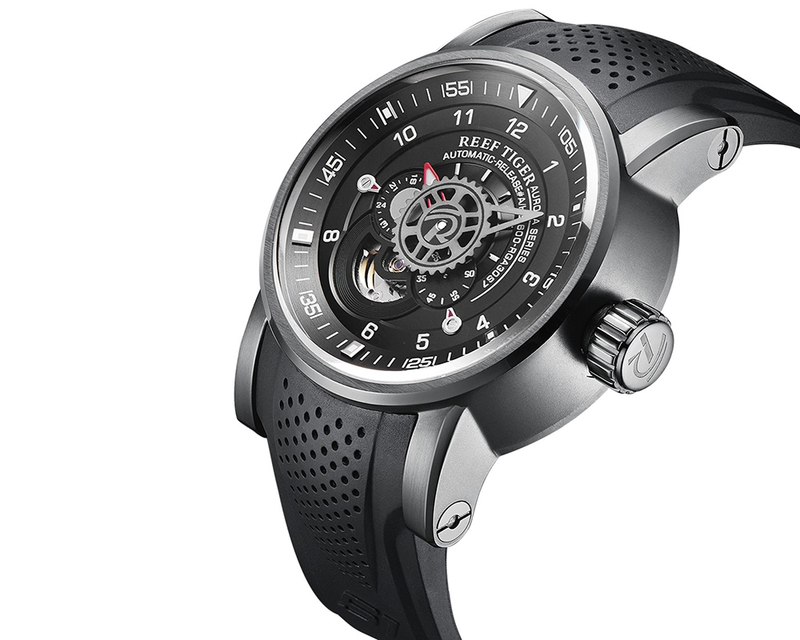 The first time launched Aurora Machinist series watches. 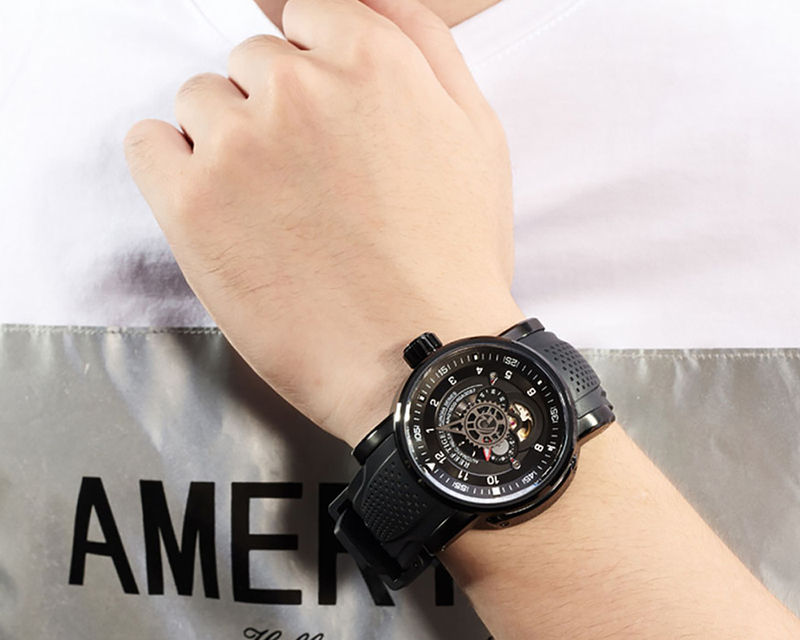 The large size of watch case (φ48.5mm). 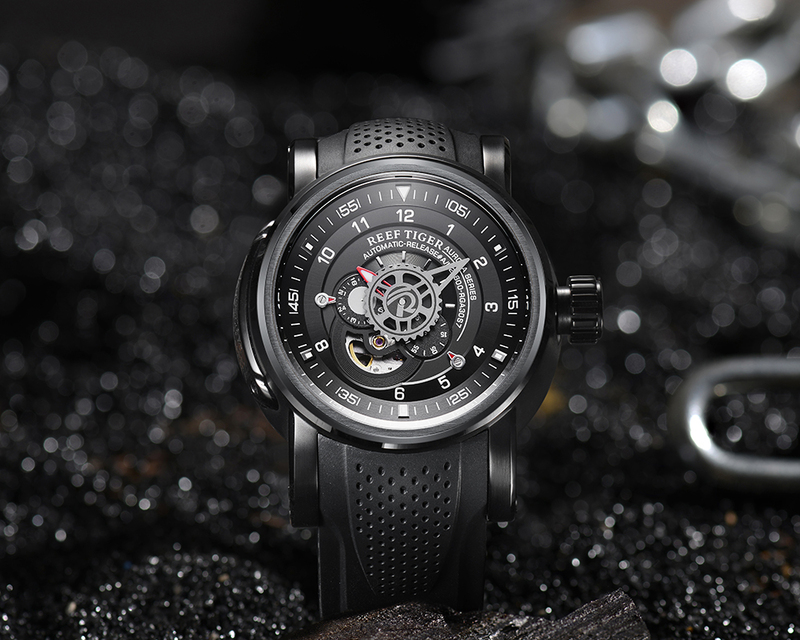 The designer designed the Aurora Machinist watch dial carving and the use of shading reflect the conjecture of the future, full of technology. The 48.5mm watch case smooth and streamline, and the ball-shape crown inlay with a rubber ring. The heavy watch case match of the refine curved lugs, so close to the wrist, comfortable to wear, yet express individuality. With passage of time, the special lines of crazy horse strap will become rich texture, adding a bit of retro color to the Aurora Machinist series watches. Imported Italian calfskin supplemented with same color cotton thread, soft and breathable, bringing the best wearing feeling. 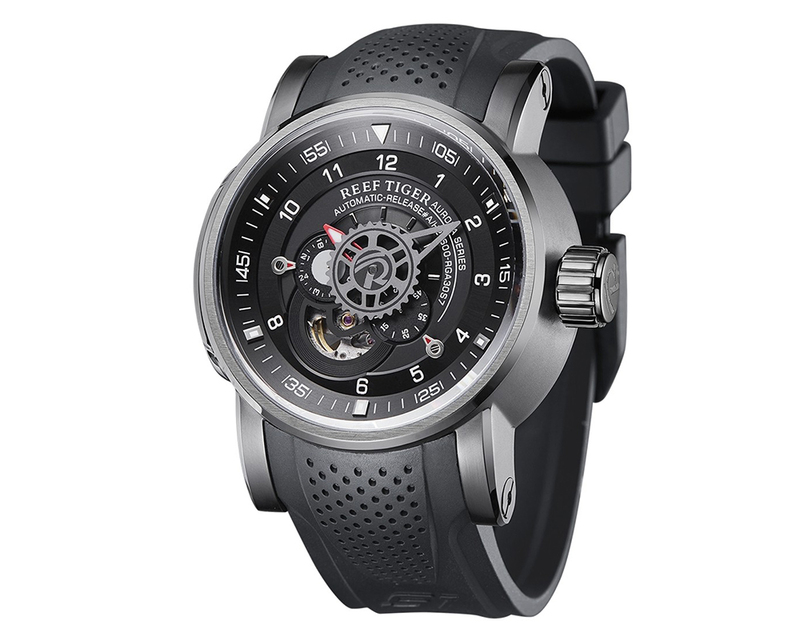 The core technology of this watch is its Reef Tiger 7100 Automatic movement. The Automatic is completely show in our eyes. Its exquisite movement is so compelling and amazing.